Whether it’s cooking chowder with an oyster fisherman or roasting some ducks with someone who has hunted their own ducks, you can take that experience and take a little bit of that energy that you got from it and translate it to other guests. For Robert, being able to source local products and see them go from the field or the bay to the plate is one of the greatest advantages of running a catering business on the Island. 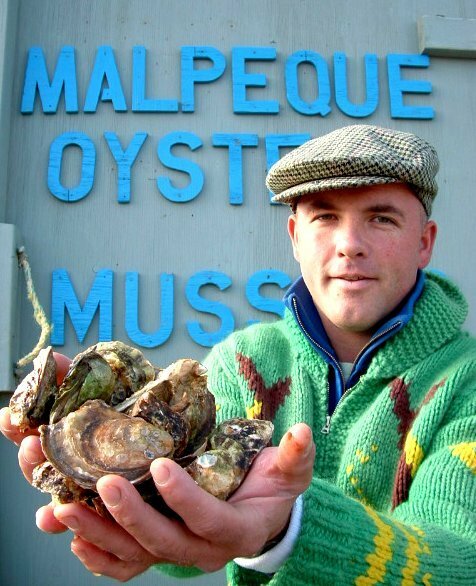 Whether shucking oysters at a special event or making chowder for a wedding celebration, Robert is always sourcing and serving the freshest products available locally.